I began my career as a yoga instructor and became a yoga therapist to assist individuals in their healing process. Wanting to add compassionate and healing touch to my work I became a massage therapist in 2009. My desire is to help people discover the many possibilities of healing through yoga and massage. I am a licensed and insured Massage Therapist in the states of Texas and Illinois. 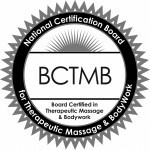 I am board certified by NCBTMB. I have over 1,100 hours in massage training and six years of massage experience. I started my career as an intern for a wellness clinic in Arlington Heights, IL who employed me fulltime at the end of my internship. I advanced my knowledge and skills by becoming certified in medical, orthopedic and manual lymph drainage massage with extensive training and education in oncology massage. I am a complete lymphedema therapist (CLT) with education and training in manual lymph drainage (MLD) and complete decongestive therapy. I participated in a six-day, hands-on hospital intensive at Oregon Health Sciences University Hospital. I work part-time with Legacy Hospice. I am a member of Society for Oncology Massage (S4OM) and volunteer with Oncology Massage Alliance (OMA) at the New Braunfels Cancer Care Center in the infusion clinic. I am a Professional Yoga Therapist (PYT) and Certified Yoga Instructor (RYT) of Integrative Yoga Therapy. I have been practicing yoga since 1988 and teaching since 1999. I am registered at the 500 level with Yoga Alliance. I owned a successful Yoga Studio in Sherwood, Oregon and developed a private practice on Chicago’s North shore. My most recent training is Yoga of Awareness for Cancer Professional Training at Duke Integrative Medicine in 2014. I am a member of International Association of Yoga Therapists (IAYT). Please visit her LinkedIn page to view her recommendations, complete education and training experience. Texas license number MT 121599. Massage Specialties: Oncology, Manual Lymph Drainage, Medical Massage, Orthopedic, Deep Tissue and Swedish. Yoga Specialties: Oncology, semi-private & private yoga therapy sessions, prenatal and postnatal yoga.